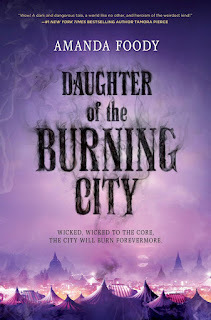 So based on the book summary, as well as this Goodreads review, written by Laurie Forest (author of The Black Witch), Daughter of the Burning City basically sounds like a fantastical mesh of two of my favorites—Stephanie Garber's Caraval and Game of Thrones. And that cover is so lovely and purple! Just about everything about this book screams "reeaadddd meeee" . 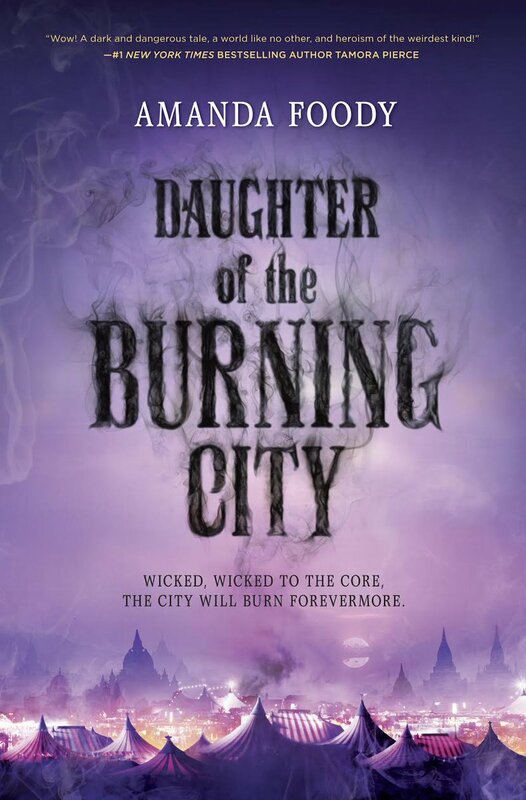 . .
And while waiting until July for the book to come out, check out Amanda Foody's Pinterest board and Music Playlist for Daughter of the Burning City! YES YES YES!! I am so excited for this one too, it sounds AMAZING! And the cover is so deliciously haunting :) Thanks for sharing, great pick! Right? I hope so, too haha. Thanks for stopping by! OOoh nice! That's a new to me one! Though I think I started seeing it around the blogosphere a bit! Hope you love it once you read it! I saw this one on Netgalley, I can't wait to read it. I hope we both enjoy this one when it comes out. I'm super excited for this one!!!! I love books with carnivals and this one sounds so promising! Right? I'm hoping for a haunting Caraval type of book. I guess we'll find out. Thanks for stopping by! You seriously always highlight books that are new to me, I love it! That's awesome, I'm so glad I can introduce you to new books ^_^ Thanks for stopping by! I had not heard of this book before, so thanks for featuring it!! It sounds SO fascinating!! AWESOME PICK!! And the really intriguing part about this book is that it references Gomorrah, that infamous Biblical city. Well, I'm adding it to my Goodreads shelves RIGHT AWAY!! And even better -- it reminds you of "Caraval". 'Nuff said! This is the first I'm hearing of this and it sounds so good! Had to go add it to my TBR on Goodreads. Thank you so much for bringing it to my attention! 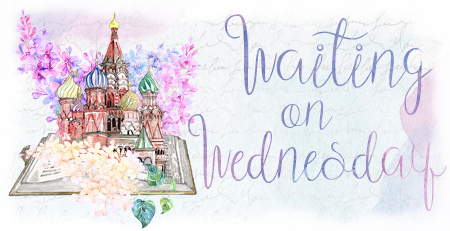 Also, thanks for visiting my Wednesday post on Lisa Loves Literature earlier! Yay for adding it to your TBR! I'm happy I could bring this one to your attention. Thanks for stopping by! Doesn't it? It sounds amazing, and I'm so excited to read this one. Thanks for stopping by! oh wow! Now this is very interesting! :) Nice pick! I just heard about this book the other day, and boy does it sound like it's going to be amazing. And that cover is breathtakingly pretty! Super excited for this - is it July yet?! Yes, it does! Thankfully July isn't that far away. Wow! This sounds like an unusual and interesting book! I hope you enjoy it! Ahhhh, I've been eagerly awaiting this cover!! I love the purple and the smoky font and the lit up landscape! All so pretty! Definitely looking forward to this one!! Me too! Now that we have a cover the pub. date doesn't seem so far away! Excuse me while I just sit here and stare at that beautiful purple cover.... Seriously though, this sounds like it has the potential to be a great read. Thanks for spotlighting it this week! 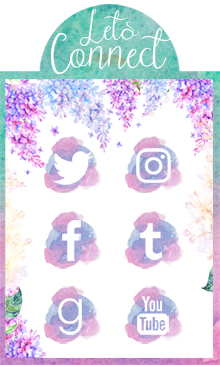 This cover looks so nice - not really a fan of the purple but here it fits totally. And the summary sounds intriguing. Hope you´ll enjoy it. Thank you, I hope you'll check it out too! I'm sure you know this by now but... this one is on NetGalley!!! I haven't decided if I want to read it so for now I'm not requesting it but I might. I can never resist a purple cover. :D I hope you enjoy this book when you get the chance to read it! Yes, I do. Thanks for making sure that I knew though! I hope it's as good as it sounds. Thanks for stopping by! This book sounds super interesting and really good! You've piqued my interest, for sure. I want more carnvial-esque reads in my life, haha! It does, doesn't it? I'm so excited for it. I hope we both enjoy it! I NEEDS THIS BOOK SO MUCH. The cover. The blurb. Everything sounds perfect!! ME TOO AND I TOTALLY AGREE! I'm so glad I could introduce it to you, I hope you added it to your TBR! Thank you! I hope you've added it to your TBR. I also hope you had a great week! Ok, I didn't know about this one, but both cover and blurb caught my attention! They are both alluring, are they not? It sounds really good and I hadn't seen it before. Great pick! Thank you, I hope you have it on your TBR! This is new to me. I don't usually read fantasy, but I hope you enjoy reading this, Brittany. Well, maybe this will be the fantasy that could make you want to read more? I hope you give it a try. Thanks for stopping by! I'm definitely excited for this one, too. I love the cover and am always up for a circus/carnival story. Great pick! Thank you, I hope we both love it! YAS I'M GOING TO READ THIS ONE!! I can't wait to read Amanda's work...we used to co-blog together for like a little while on a writers group blog! MY CLAIM TO FAME.😂😂 Just kidding, ahem. But I'm gonna pretend it makes me famous. You did?! I had no idea!! That's amazing. And you'll always be famous to me <3 Thanks for stopping by! Really? Yay! I love everything about this book so far and I hope it lives up to its description. Thanks for stopping by! Yes, you definitely should! I think this is going to be one of the biggest titles this year!